The Volvo FL Electric is the company’s first fully electric truck designed to provide quiet, clean transport for urban distribution and refuse collection. Volvo Trucks has introduced its first all-electric truck for commercial use – the Volvo FL Electric for urban distribution and refuse operations, among other applications. Sales and series production of the new model will start in Europe next year. “We’re immensely proud to present the first in a range of fully electrically-powered Volvo trucks ready for regular traffic. With this model we are making it possible for cities that aim for sustainable urban development to benefit from the advantages of electrified freight transport,” says Claes Nilsson, President Volvo Trucks. “In order to make the transition secure and smooth, we will offer holistic methods based on each customer’s individual needs regarding driving cycles, load capacity, uptime, range and other parameters. Such a method may encompass everything from route analysis and battery optimisation to servicing and financing. Volvo Trucks works closely with several suppliers of charging equipment. The aim as always is to offer customers high uptime and productivity,” says Jonas Odermalm, head of product strategy Volvo FL and Volvo FE at Volvo Trucks. Backing the Volvo Trucks offer is the Volvo Group’s accumulated expertise in electrified transport. Sister company Volvo Buses has sold more than 4000 electrified buses since 2010. The technology used for propulsion and energy storage in the Volvo FL Electric has been thoroughly tried and tested from the outset and is supported by Volvo Trucks’ far-reaching network for sales, service and parts supply. “From experience, we know how important it is that cities, energy suppliers and vehicle manufacturers cooperate in order for large-scale electrification to become a reality. With attractive incentives, agreed standards and a long-term strategy for urban planning and expansion of the charging infrastructure, the process can go much faster,” explains Jonas Odermalm. 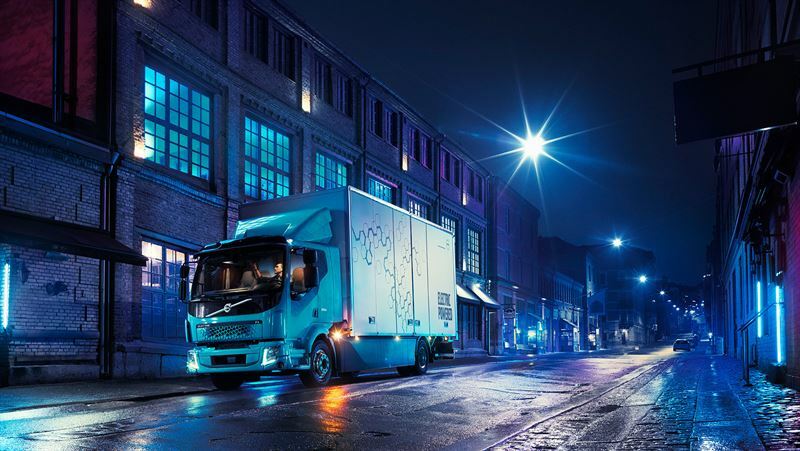 “For instance, in order to ensure that raw materials for the batteries are extracted in a responsible way, the Volvo Group works with the Drive Sustainably network, which has a special function that monitors this issue. The Volvo Group is also involved in various projects where batteries from heavy electric vehicles get a second lease of life, reused for energy storage. All the questions about handling of batteries have not yet been solved, but we are working actively both within the Group and together with other actors to drive development and create the necessary products,” says Jonas Odermalm. The first trucks in the Volvo FL Electric range are now entering regular operation with customers in Gothenburg.